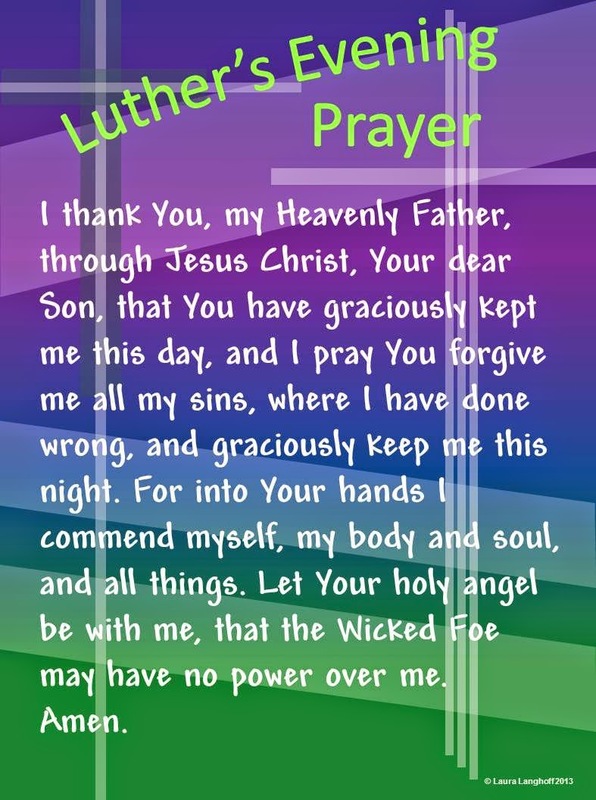 There are two particularly wonderful prayers that will help everybody start and end the day if they know about them. 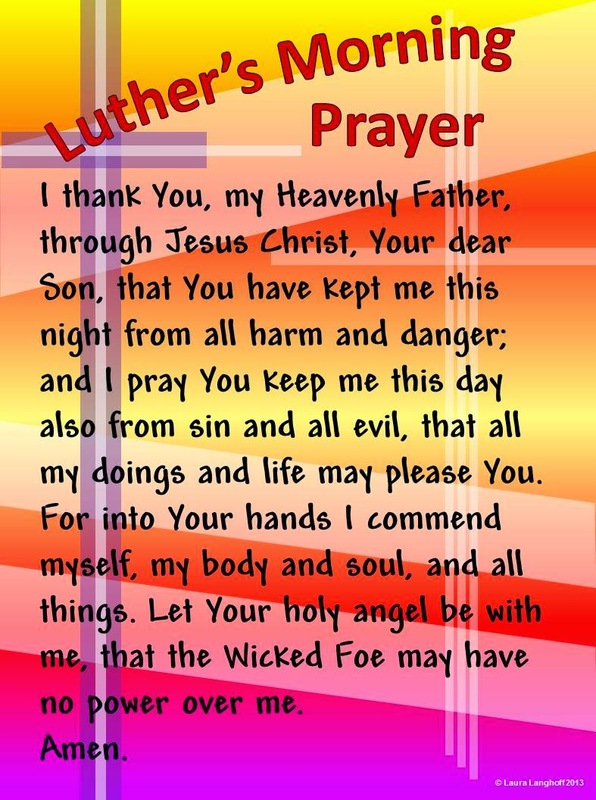 They are prayers we've long stopped using and sharing; Martin Luther's Morning and Evening Prayers. One way to help kids become more familiar with them is to simply put posters of them on the walls of your youth room and classrooms. When kids get bored they look around the room so you might as well have them look at something educational and faith building. They are simple to design on your own or you can turn what I have created into an 18"x24" poster for $2 each. Go to my posters page and once you've ordered them I'll send pdf's and you can have them printed at a place like Short Run Posters for about $4 each. I've found the pdf works best at Short Run Posters, it's a good deal, and the posters are a good quality.